It’s time to get ready for the coming of the Lord! The times and seasons to which Paul makes reference can refer to the biblical festivals—especially the fall feasts, which relate to the second coming of our Master, Yeshua the Messiah, also known as the day of the Lord. While the fall feasts of Yom Teruah (the Day of Shofar Blowing), Yom Kippur (the Day of Atonement), Chag Sukkot (the Feast of Tabernacles), and Shemeni Atzeret (the Eighth Day) commence in the seventh month of the biblical calendar (in our Sept-Oct), the first day of the sixth month is significant as well. Why? It marks the time when YHVH’s people begin to prepare their hearts and minds spiritually for these fall festivals that prefigure the second coming of the Messiah. One of these days, the Messiah will come. Will you be ready? If not now, then when? Yom Teruah or the Day of Trumpets or Shouting (commonly called “Rosh Hashana”) occurs at the end of the summer months and marked the beginning of the fall harvest or festival season for the ancient Hebrews. Prophetically, the summer months between the spring feast of Shavuot/Weeks (Pentecost) and the fall feast of Yom Teruah is a spiritual picture of what is often called the “Church Age,” which is the period of time from the Feast of Pentecost in Acts 2 until the return of Yeshua the Messiah at the end of the age and lasting for approximately 2000 years. For many, especially those living in hotter climes, summer is a time of leisure, vacation, weariness and fatigue due to the excessive heat. Likewise, many Bible believers have fallen asleep growing spiritually weary awaiting the return of the Messiah. Yeshua discusses this issue in the Parable of the Ten Virgins (Matt 25) who all grew weary and fell asleep awaiting the coming of the Bridegroom (Yeshua). This all changes on the first day of the seventh month of the biblical Hebrew calendar when off in the distance the sound of a shofar blast suddenly pierces the atmosphere and registers in the eardrums of those who have fallen asleep. 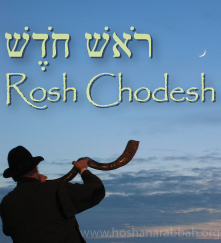 Not only does this shofar blast signal the beginning of the seventh month when the new crescent moon is sighted, but it announces the return of the Bridegroom (Yeshua) coming for his bride (the virgin saints). As in the Parable of the Ten Virgins, the cry went forth that the bridegroom was coming and all awoke from their slumber to prepare for his arrival. In these end days, that cry is going forth even now for all to hear, to awake and to prepare for the arrival of Yeshua the Messiah. But as already noted, the time of preparing for Yom Teruah when Yeshua the Messiah will likely return for his bride (i.e., those saints who love him by keeping his commandments and who have faith in Yeshua, see John 14:15 cp. Rev 12:17) begins 30 days before this first fall festival. The first day of the sixth month—the month of Elul—begins that time of preparation, and today begins this time period. In the biblical calendar, the visible sighting of the crescent new moon always marks the beginning of the month and is announced by the shofar blast (Ps 81:3). Why is the blowing of the shofar a significant symbol to mark the beginning of the month?Simply this. The ram’s horn shofar is bent into a curved shape to represent the contrite heart of both the blower and the hearer. This is the season for the righteous to bend their hearts in humility and contrition before YHVH and repent of spiritual lassitude and lukewarmness and to awake to spiritual action and preparation, for the fall feasts point to awesome end time events that will occur at some point in time in the near future. It is a time to be refreshed by the breath of YHVH, and a time of new beginnings. Let YHVH breathe on you, revive you and empower you as you enter into the fall biblical festival season, and as you prepare to meet your King and Redeemer, Yeshua, in the air. As we hear the sound of the shofar calling us to arise from spiritual slumber, YHVH is telling his people to become overcomers so that they may be worthy to partake of the glories of his eternal kingdom (Rev 2:7,11,17,26; 3:5,12,21). The sixth month is traditionally referred to by its non-biblical Aramaic name Elul. Some rabbinical sources see this word as an acronym of “Ani l’dodi v’dodi li,” “I am my Beloved’s and my Beloved is mine,” a quote from Song of Songs 6:3, where the Beloved is YHVH and the “I” are YHVH’s people. In Aramaic (the vernacular of the Jewish people at the time that the month names were adopted), the word Elul means “search,” which is appropriate, because this is a time of year when we search our hearts. (from the web site: http://www.jewfaq.org/elul.htm#Selichot). Sin or chet in Hebrew, means “a failure in our relationship with Elohim.” Our goal should be to continually move closer to Elohim, but “chet” is behavior which causes us to move away from Elohim. Repentance or Teshuvah in Hebrew, means “return.” In this context, it means “return to Elohim” and to behavior required of us by Elohim; in other words, return to obedience to his commandments. While we deeply regret our movement away from Elohim, we must not despair, for YHVH has provided the way for our return to him and he tells us that when we repent, he forgives without delay. We must confess our sin before YHVH (Lev 5:5; Num 5:7). We must turn from our sins and resolve to stop sinning. We must manifest heartfelt regret for our wrong actions by evidencing remorse and contrition before YHVH and our fellow man, if applicable. An offering of the legally prescribed sacrifice must be made for the sin (Lev. 5:1–20). Yeshua, the Messiah of Israel, became that sacrifice for our sin once and for all when he died on the cross (Isa. 53:5; Heb 4:14–5:10; 7:14–8:6; 9:11–10:22). When we have sinned against our fellow man, not only is confession and forsaking that sin required, but we must make restitution in full of whatever has been wrongfully obtained or withheld from one’s fellow man (Lev 5:14–19; Matt 5:23–25). We must then accept our Heavenly Father’s unconditional mercy and grace (Ps 103:3–4,10–17). 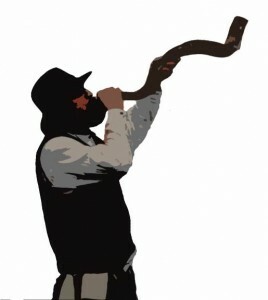 The shofar’s blowing is a call to awaken out of spiritual sleep, lethargy, stagnation, slumber and to repent of sin. No man knows the day or the hour of the new moon’s arrival each month (though one who is alert certainly can know the season and year) even as no one knows the day or hour of our Lords return. Sadly, the human tendency is to grow weary in waiting, and to grow slack in one’s obedience to YHVH’s righteous commands. Yet when the new moon is sighted and the shofar sounds, this is the signal for the slumbering to awake, for hope to arise, renewal and spiritual revival to occur and action to be taken to put off sin and to draw closer spiritually to YHVH Elohim. This entry was posted in Feasts and tagged Elul, Repentance, Rosh Chodesh, Sixth Month, Yom Teruah by Natan Lawrence. Bookmark the permalink. Wonderful information, however, I am interested in knowing where the Church Time is approximately “2000 years” come from? Christian tradition, not from the Bible. I hate to mess up all your dates, but the original Ancient Hebrew Calendar has been found, sometimes referred to as the Abib. The sixth month, day 1, falls on February 17, 2019. The Jewish Calendar used today is a joining of Ancient Babylons and the original Divine Calendar, which resulted in loss of blessings from lost laws. This was no accident. Only a lawless people, without Divine blessings, could be overtaken by Babylon. Do your research, its not hard. Sorry to disagree, but we, as of yet, cannot pinpoint the exact day of the new year until the new moon is spotted and the abib barley is found in the land of Israel. I have written and published several articles citing numerous biblical sources and ancient Jewish sources as to how the month and year were determined in the time of Yeshua. It looks like you have a different opinion on this. I guess we’ll have to agree to disagree. Blessings.